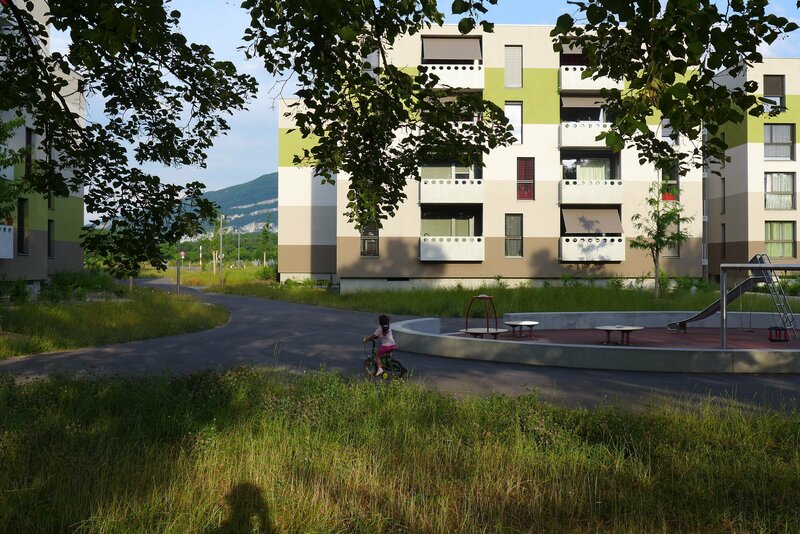 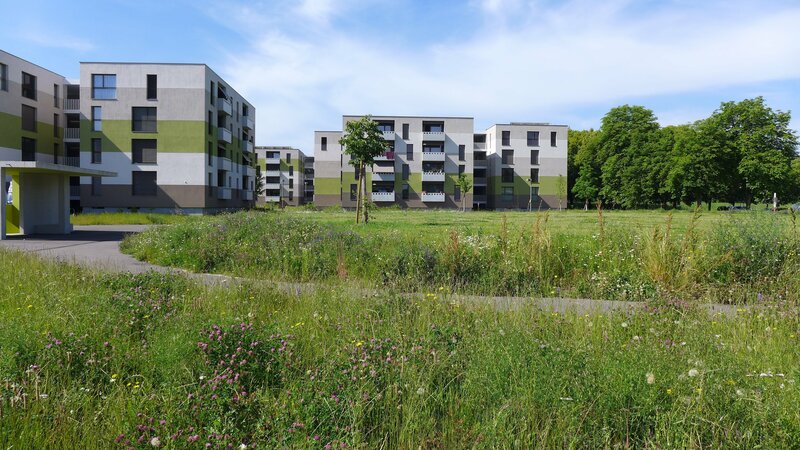 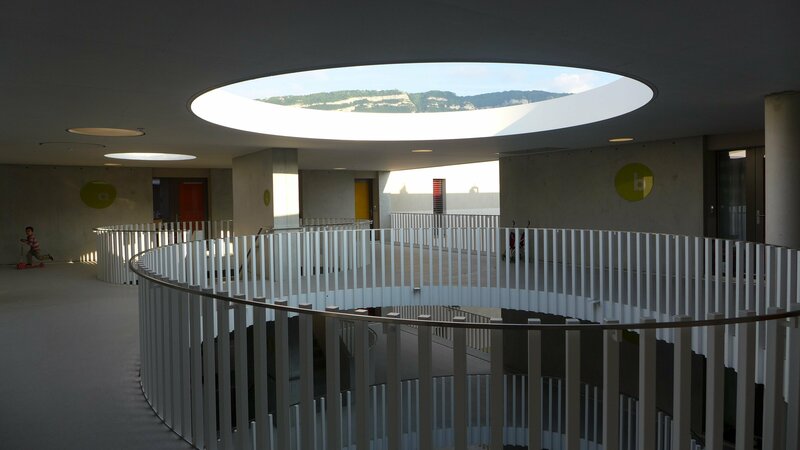 This residential district is starting the transformation and densification of the Plateau de Vessy, a natural promontory that overlooks the meanders of the Arve to the north and opens out to Salève mountains to the east. 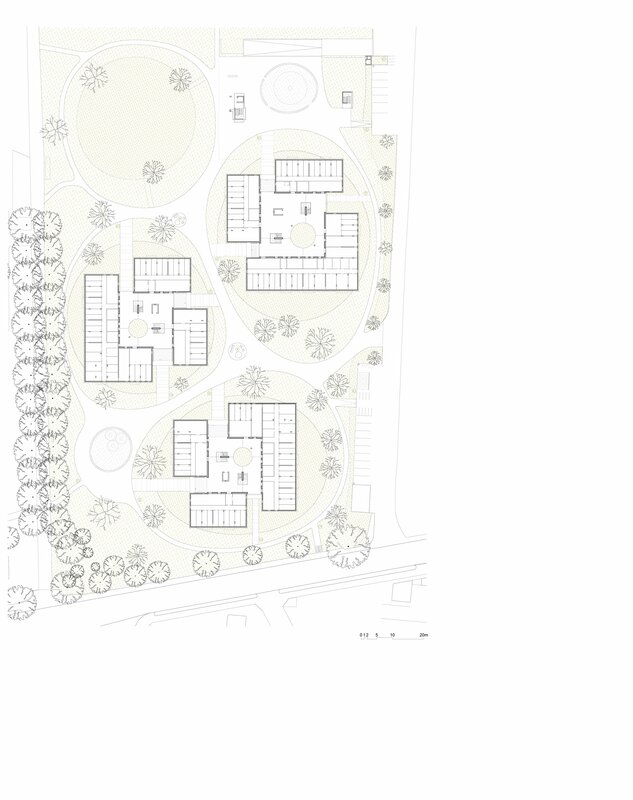 The project for these one hundred and eight rental dwellings proposes to erect three buildings placed in a falsely random manner in a large field destined for them. 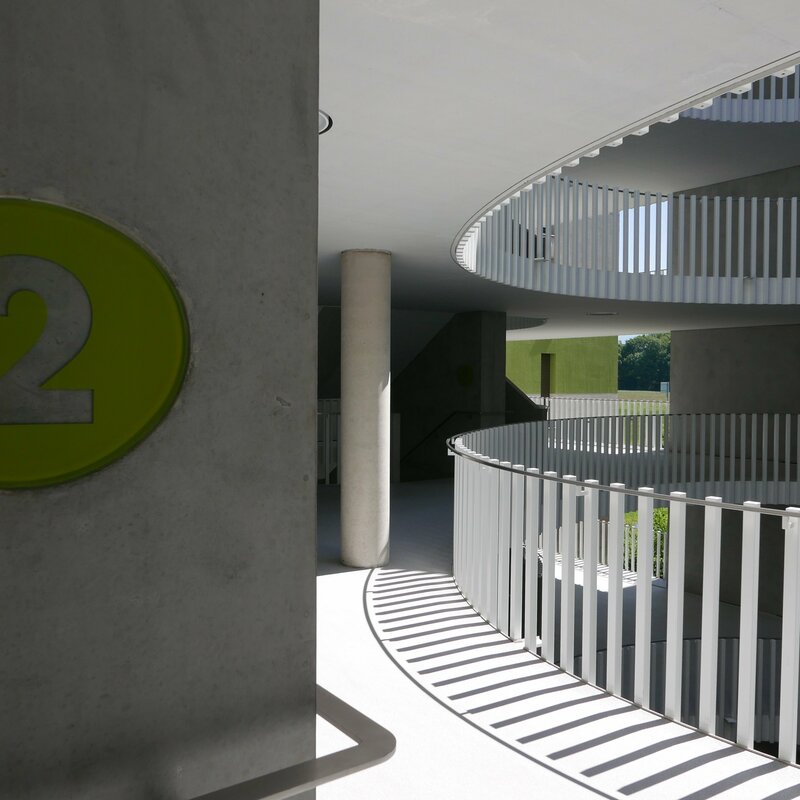 The urban design seeks, above all, interplay between the three buildings, this being reinforced by landscaping all in curves. 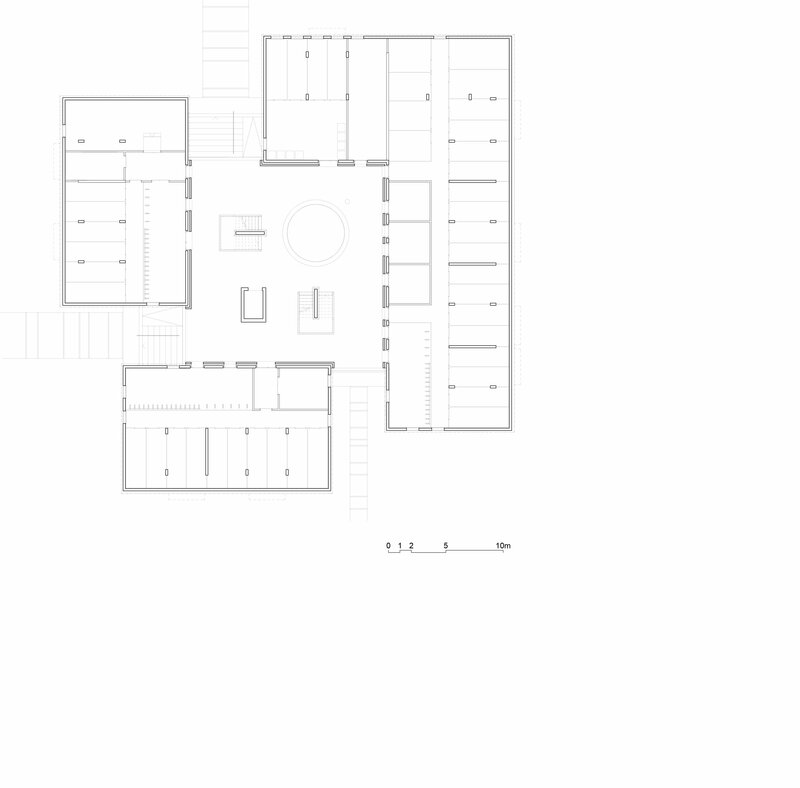 The innovative feature of this project stems from the unusual morphology of the layout linking three independent buildings – two rectangular and one L-shaped – to passageways / open spaces whose centre is pierced by large, slightly staggered circular openings. 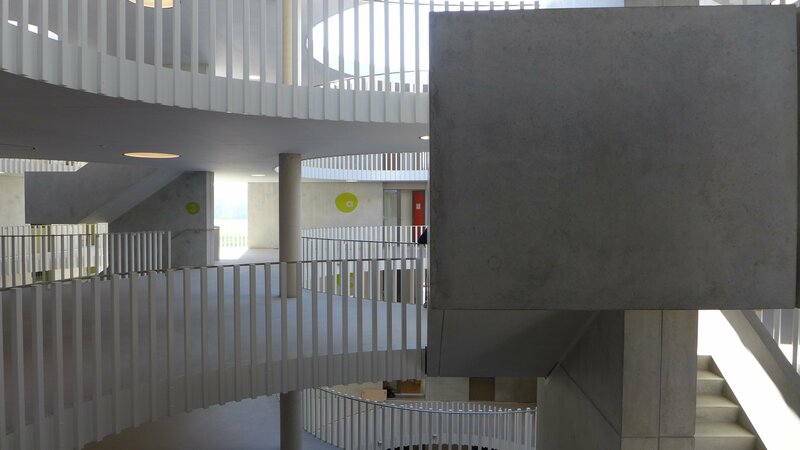 The stairs and lifts are contained in this elegant inner space which recalls medieval or nineteenth century courtyards with finishing mainly in raw concrete. 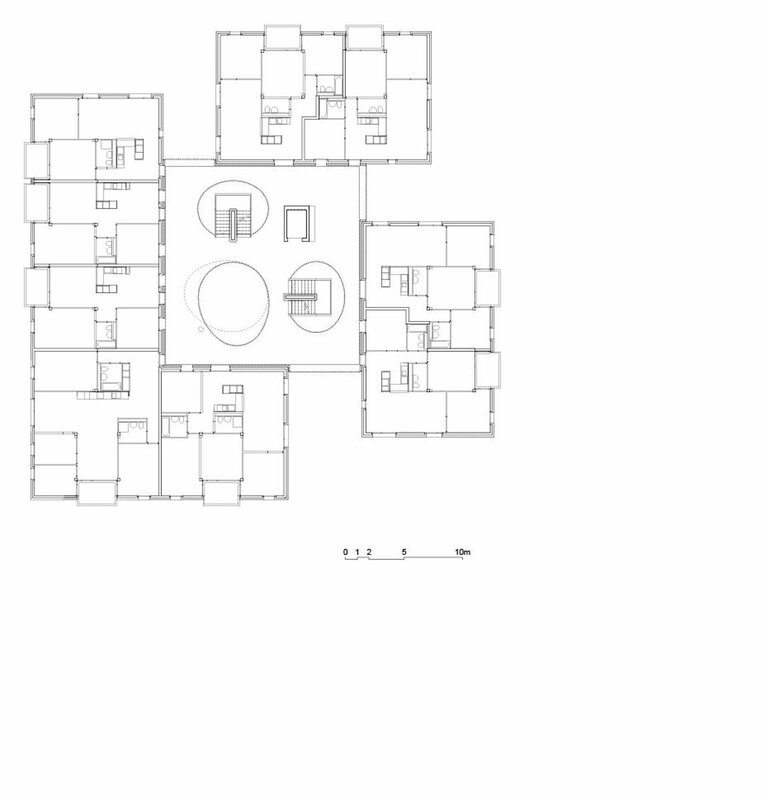 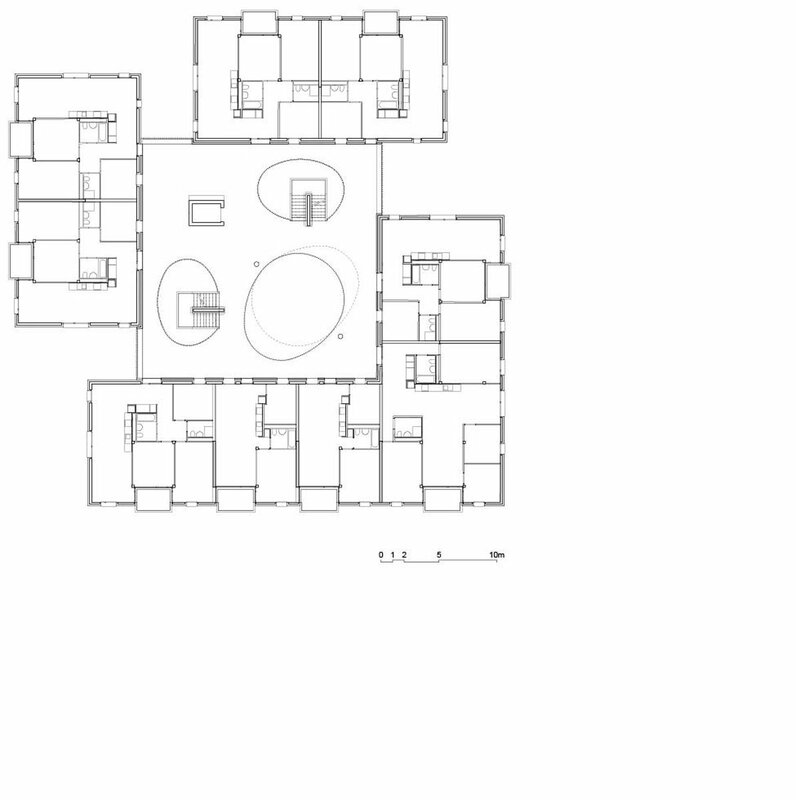 The apartments are all double aspect, with a few rare rooms looking directly on to indoor circulation areas in the way of typologies with corridors. 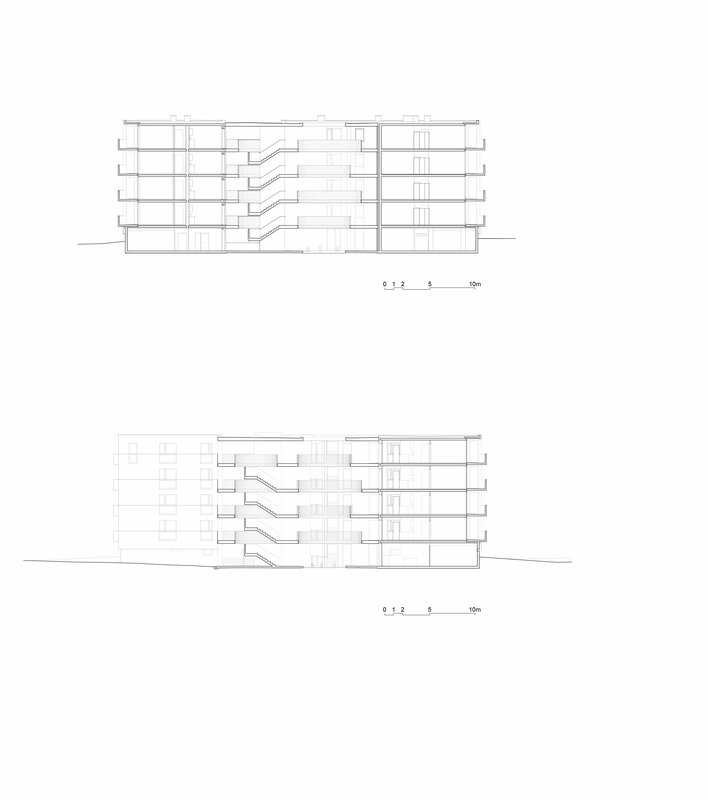 The facades are composed of vertical windows in three sizes, in a staggered position within the roughcast envelope in four bands of colour. 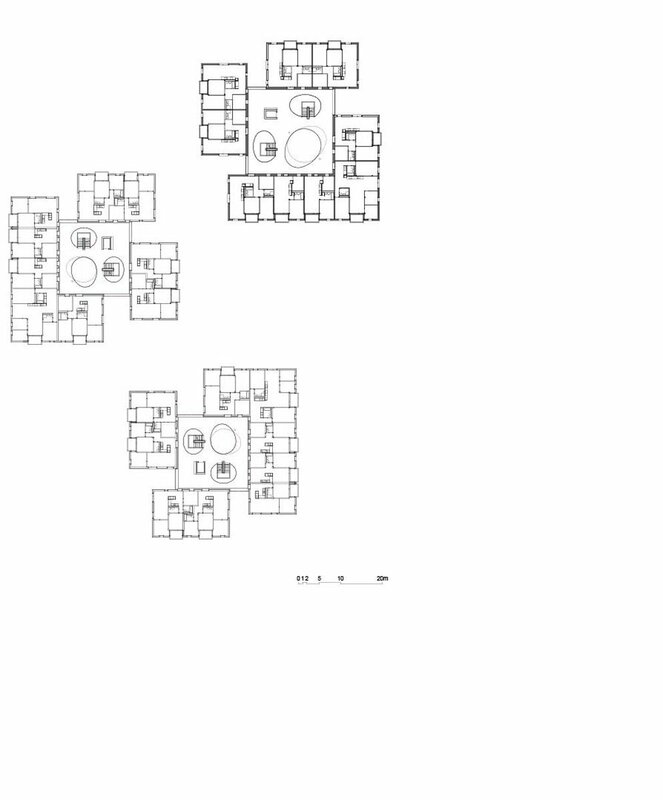 In contrast with this polychrome surface, the parapets of the loggias-balconies are in concrete and pierced with small circles.